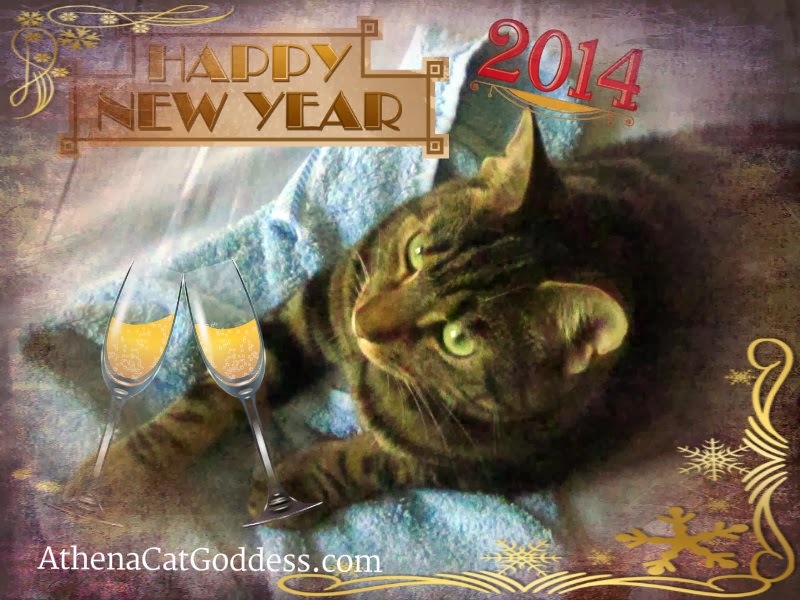 Athena Cat Goddess Wise Kitty: Happy New Year 2014! Let's raise a glass (or two) to New Year! Oh, we love your graphic! Happy new year to you and your servant, Athena. May 2014 be kind and generous and merciful. Happy New Year to you and your human. HAPPY NEW YEAR! May 2014 be filled with love and joy and lots and lots of nip! Happy Happy New Year Athena! We love you!